I have been a member/shareholder of Mountain Equipment Coop so long that I have a paper membership card (eventually plasticized) which is a source of wonder and amusement to cashiers at this quintessentially Canadian outdoor supply company. A couple of years I was paid a dividend of $50, and no one else we know who is member has ever heard of this. I sure didn't complain. The gear we purchase there is high quality, long-lasting, and just kinda cool. We appreciate that MEC gives a portion of profits to environmental causes. MEC has been in the news this past week because of public pressure for the retailer to drop certain brands because they are owned by a conglomerate which also produces assault rifles. Many companies in the US have distanced themselves from the National Rifle Association because of the tragic deaths of high school students in Florida, all murdered by a teen gunman with a semi-automatic weapon. Other companies, including Walmart, have either chosen not to sell these weapons anymore or put new restrictions on their sale. Bushnell and Camelback are amongst the products carried by MEC which are related to the rifle manufacturer, and we own stuff by both of these brands. I do believe that boycotts can be effective, and that Christians can and should participate at times, but they aren't necessarily straightforward. At the beginning of my ministry I encouraged my Newfoundland parishioners to boycott Nestlé's products because the company was convincing mothers in Africa to feed their babies Nestlé's infant formula over their own milk. Many did so, only to discover that other brands of condensed milk (a Newfoundland staple at the time) were owned by Nestlé's as well. I certainly wouldn't buy Nestlé's bottled water today, but I don't buy any bottled water! I have chosen not to buy certain products produced by Israeli communities illegally established in the West Bank. Yet we have seen that some of those companies, such as Sodastream, employed Palestinian workers whose jobs were imperiled by the international boycott. Boycotts can work, but they are complicated in an international, interconnected economy. In the case of MEC it's hard to imagine that choosing not to purchase a Camelback water system will make a lick of difference to the demonic idolatry of guns and the right to own them in the United States. MEC has decided though to stop carrying these products because of the outcry. God knows what the concerns might be about their replacements. 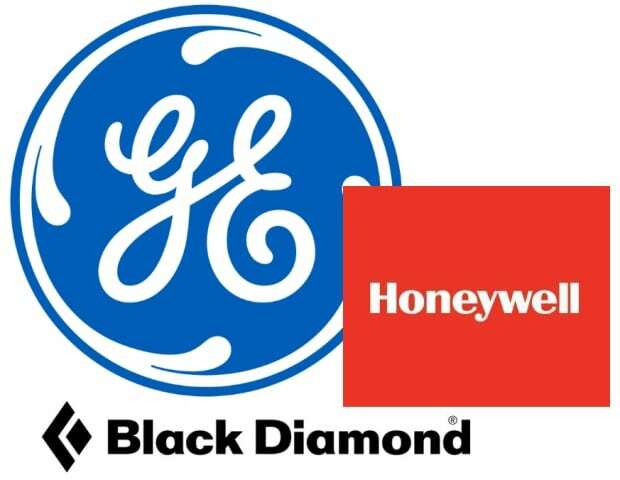 Someone has pointed out that the parent companies of GE and Honeywell and Black Diamond produce missiles and missile guidance systems. Should we boycott cheese? It's important to stay aware, to make decisions in our purchases which will be in the best interests of all people and all creatures. It is, it seems to me, a sacred responsibility for people of faith. Just don't expect it to be easy!